Now you can step up. Now you can be Creative. Now, you can be Powerful! SoundMasters and Maarko are bringing to you, the sound library Martin Garrix probably doesn’t want you to have! All the sounds of the genre disclosed and much, much more! THE Complete Production Package for Big Room. 64 royalty free patches professionally prepped for top level producers of the EDM scene. Now don’t take our word for it, take a listen and finally decide by yourself! 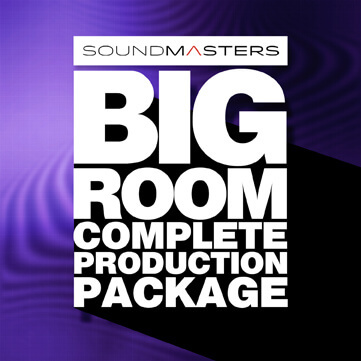 BIG ROOM Complete Production Package is the first sound library by the new best label in town, SoundMasters. Designed and produced by Maarko, also author of DROPS.